Michael Brandon, Hollywood Star, Olivier Award nominee for Jerry Springer The Opera and male half of '80s cop comedy, Dempsey & Makepeace, who, at 72, lifts the lid on an extraordinary life and fifty years in showbiz in his Fringe and Stand-up debut. Born in Brooklyn NYC in 1945, he could have chosen a very different life, but a chance meeting with a young actress changed his course. His first ‘Off Ramp’. He gave himself two years to star in a movie, and in just a few months he was playing alongside Al Pacino and Robert De Niro! A fifty-year career in showbiz, in many ways blessed, in others, blighted, he lived with Kim Novak, starred with Tony Curtis and married the bionic woman… but he always went his own way. An hilarious telling hour of Hollywood truths! 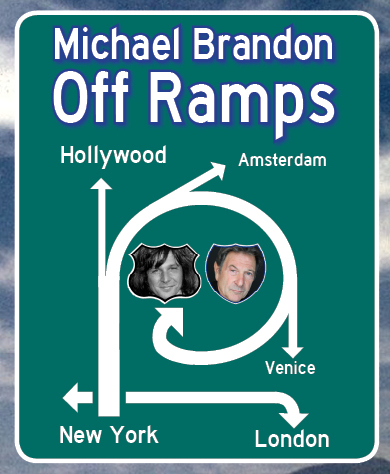 Opening on a stage with a projected video reel playing highlights from his career, Michael Brandon's autobiographical stand-up set winds the audience from his days as a vinyl loving teenager, to a jobbing actor, and finally to international movie and television success. While many of his peers, some who are referenced at length throughout, have gone on to a form of superstardom, most British punters are likely to know him best as the star of the short-lived '80s UK cop drama, Dempsey and Makepeace. However, as he goes to lengths to point out, Brandon's career has been long and varied, branching out from his days in the theatre as an understudy, to his first breakout roles, but ultimately the show is largely about the women in his life.